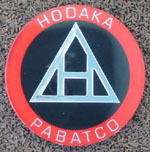 This page contains a list of all reproduction badges for Other Japanese and European bikes currently in stock, including Sidecover, Tank and Other badges (fork badges, seat cowl badges, lapel pins, etc). To order, send us an email, introduce yourself and tell us what you want - always quote the BadgeReplicas code number for an item (e.g., 'HOT02'). If you don't see the badge you want, please email. 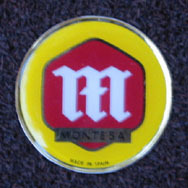 We are adding new badges regularly to our stock list, and yours might soon be available. in Australian dollars - visit XE.com for a currency convertor (opens in separate browser window). Also, this catalogue page includes a large number of images, which may take time to download through low-speed connections. Exact replica of OEM badge! We're always keen to hear from you - visit the Your Say page to find out how other people are using BadgeReplicas.